What a gorgeous day for a round of golf! I got invited to play at the Legends Course-Parkland and there was no way I was passing up that offer. The challenging fairways and green-side bunkering systems are a test for even the most seasoned golfers so I knew I had my work cut out for me. I centered my focus around strategic positioning off the tee box because after playing this course once before (and losing quite a few golf balls in the surrounding hazards), I knew wayward tee shots cost dearly. The golf course was in fantastic shape and I highly recommend the Parkland course to anyone who is willing to accept the challenge! What a gorgeous day for a round of golf! 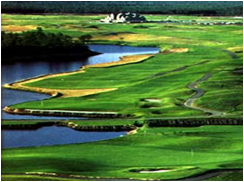 I got invited to play at the Legends Course-Parkland and there was no way I was passing up that offer.